Igor Sechin, the head of Russia’s top oil producer Rosneft, said on Wednesday the United States is calling the shots on global oil markets, while the influence of OPEC has shrunk. The United States emerged with renewed vigour as a top producer thanks to its shale boom. By refusing to curb its output to prop up oil prices, OPEC has tried to maintain its share in the global market, shrugging off lower prices which damage U.S. producers. “In essence, the sole market, which has all the sets of financial and technological tools, is the U.S. market, which has became the key regulator,” Sechin told reporters, adding that oil prices in the United States set the tone of the global industry. The United States currently accounts for about 10 percent of global crude production, up from a low of less than 6 percent in 2008. 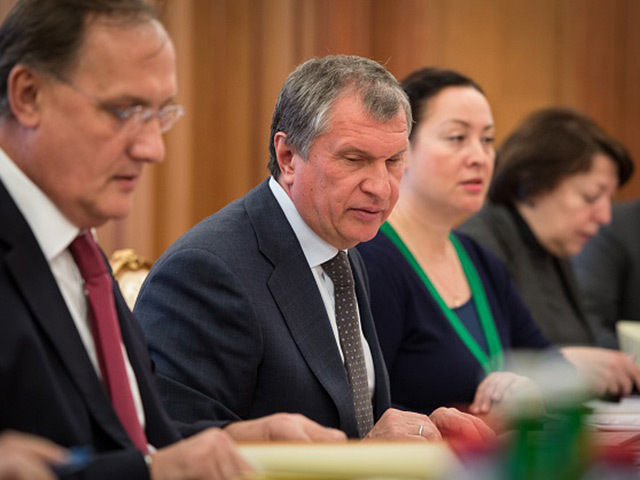 Sechin reiterated his view that OPEC’s influence over oil prices has declined. The price of oil has halved from a peak of around $115 per barrel reached in June 2014 to around $64 today, due to supply glut. The head of Rosneft, the world’s top listed oil producer by output, said the market will see more volatility in the foreseeable future. “But long-term, in two-three years, the rising trend will set in,” he said, adding that rising companies’ costs will push the oil price higher. The International Energy Agency has warned that Russia faced a “perfect storm” of lower prices, international sanctions and currency depreciation that could threaten its oil output, which hit a post-Soviet high last year.